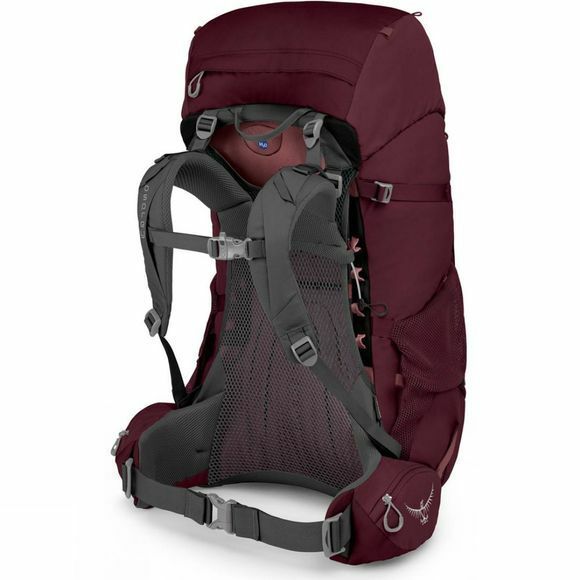 The Renn 65 from Osprey is a highly innovative rucksack for women designed for high levels of comfort and a premium fit. 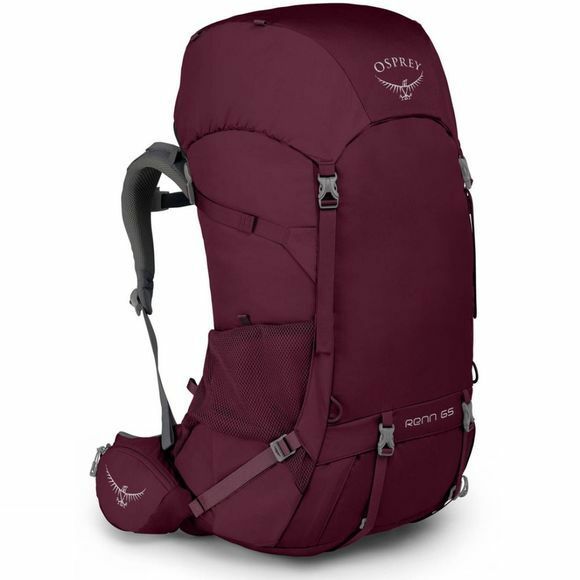 The Osprey rucksack features a highly-adjustable ventilated backsystem that ultises AirSpeed suspended mesh over a large airflow cavity. This allows the body to sink into the hipbelt and lumbar area of the pack, greatly enhancing overall comfort and support. The torso length adjustment is also intuitive, utilising an innovative ladder-lock system. This women's rucksack can be quickly and easily adjusted to fit. For a wider variety of torso-lengths, these packs come complete with dual load-lifter points on the upper frame. This ensures that the harness will remain comfortable in any position it is placed. A large padded hipbelt provides a comfort fit and aids in carrying heavier loads in the pack. Most importantly, the rucksack features a women’s specific backsystem design. The Renn 65 features all of the essentials for multi-day backpacking trips; a large capacity with upper lid and lower sleeping-bag compartment access points. An internal divider provides a separated lower compartment which can be unfastened easily when not in use. The pack remains stable thanks to multiple compression straps that do not interfere with the mesh water-bottle pockets. Dual hipbelt pockets and a large top-lid pocket with key-clip attachment provide easy access to smaller equipment.